After a long day at the fair, Ella Carpenter had to have a nap and the best place was in her father Jeremy Carpenter’s lap during the goat auction Tuesday night. On the left is Ella’s big sister Emma Carpenter and on the right is her mother Heather Carpenter. 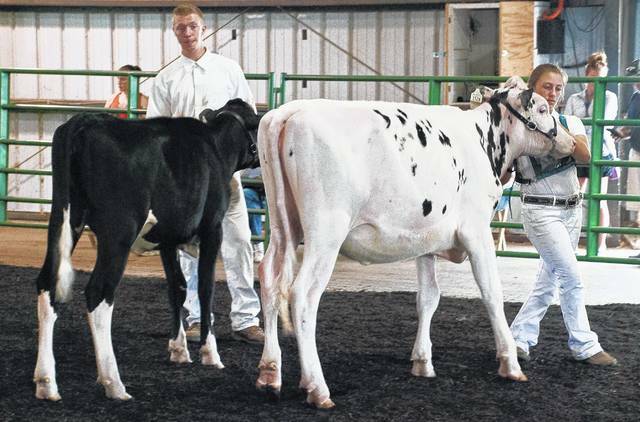 Sometimes a girl just wants to do things her own way much like this little heifer that was being shown in the Fall Heifer Class. 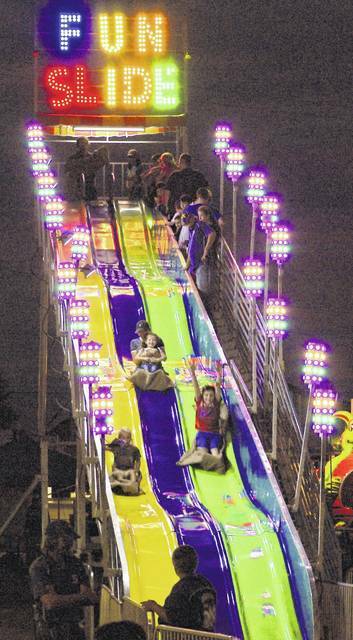 Many parents found themselves being pulled to the Fun Slide by their children who just loved the large ride. 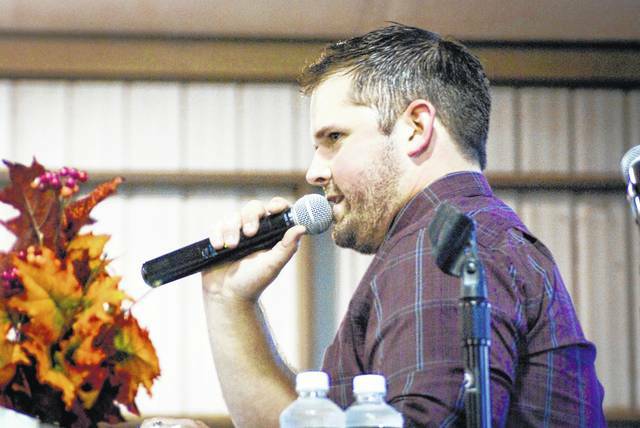 Keeping the livestock moving and talking up the prices was the job of auctioneer Collin Howard during the livestock auctions Tuesday night. Once the chickens, turkeys, goats, and rabbits had been auctioned off to the highest biders, it was time for the steers. 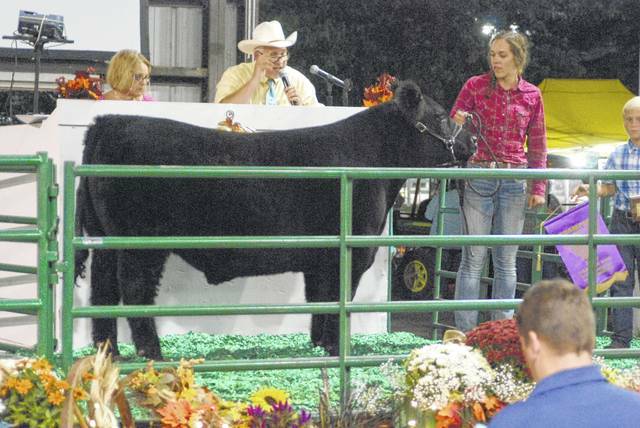 Abby Facemyer from the Eagle Country 4-H club escorts Gabriel McCaulla’s Grand Champion steer onto the stage. It was Jug Day and the traffic to get in was tight Thursday morning. 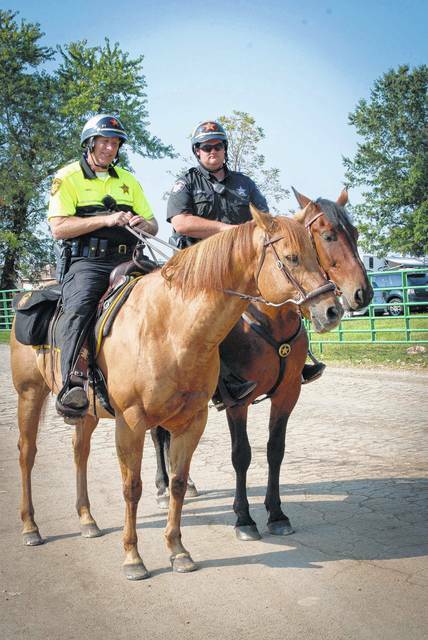 Deputy Steve Jones, riding Chester, left, and Deputy Matt Miller, riding Hero, kept a watchful eye over the incoming vehicles from the U.S. 23 gate into the parking lot. 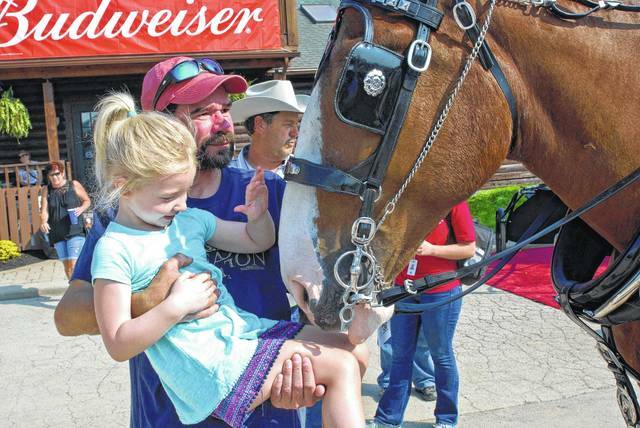 Kenadee May, 5, took her cousin Joe Herriott for a walk along the back stretch of the Jug track to see the sights. Herriott said he had stolen Kenadee, but it looks more like she had stolen him. 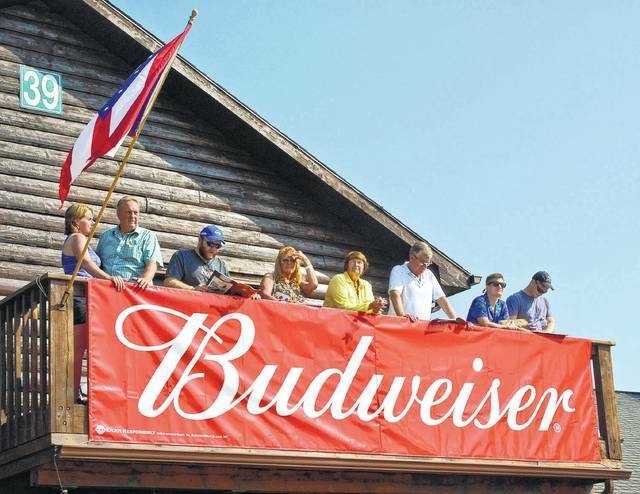 Several people took a look at the track from the balcony of the log cabin before the race. 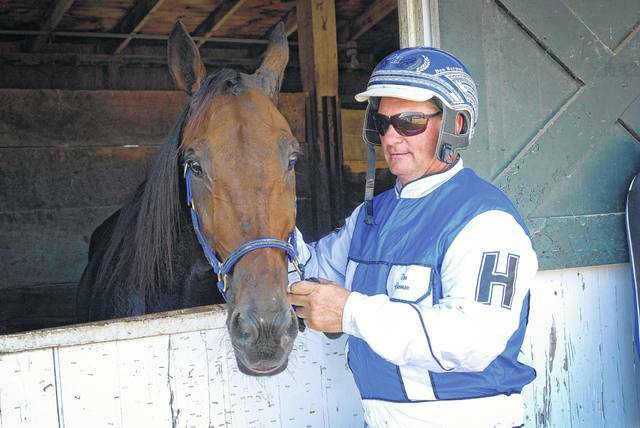 Rompaway Beau, left, gives his driver Don Harmon a pre-race pep talk to get his spirits soaring. 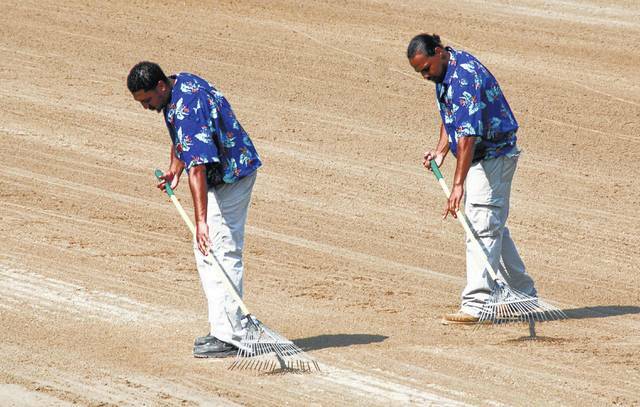 Before each race Thursday these two gentlemen raked the track at the finish line. 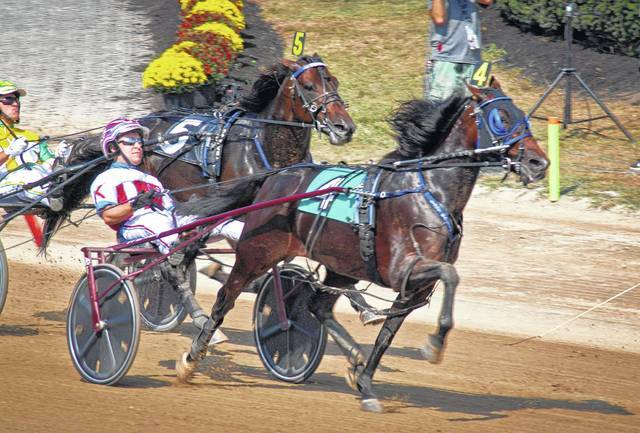 Inches from the finish, the driver whips his horse to make sure they were the second team across the line. The facial expression of the driver is intense as he tries to pass the leader before the finish line. 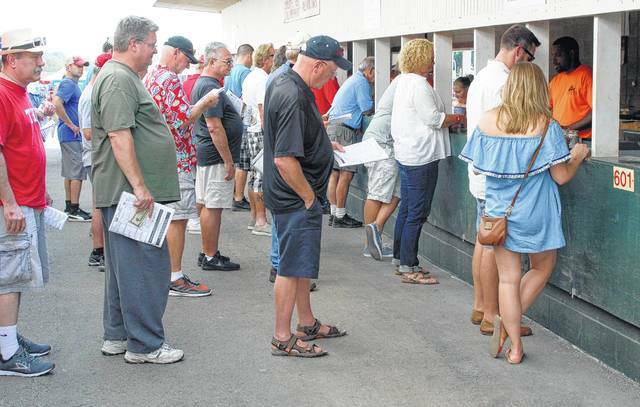 Between races the betting booths were crowded with people trying get their bets in before the race. 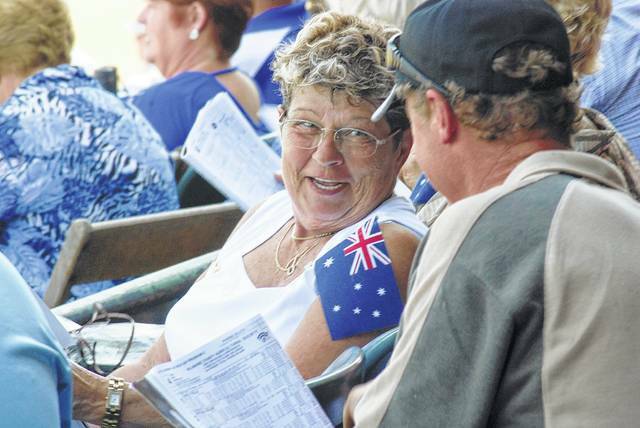 Ruth Ann Wilson turns to socialize during the Jug Thursday. 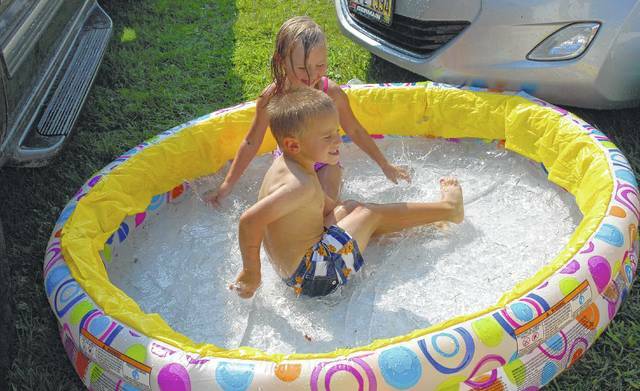 Keeping cool at fair means breaking out the kiddie pool and letting the kids splash around. Addisyn Fawcett and Trevor Lewis took full advantage of the pool.